aka The Queen of tURNING TWENTy®! 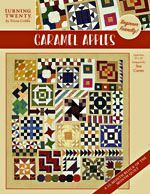 While tickling your funny bone, Tricia will show LOTS of her quilts and share the story of her quilting journey. As an added bonus, she will also share her stitchery designs. This lecture will keep the audience laughing and is always a big hit! Because Tricia's designs go way beyond tURNING TWENTy®, we will bring along a huge Trunk Show! You might be surprised at the versatility of her designs. Most everything we show has a pattern available if you want to make it yourself! 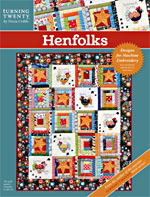 Tricia's patterns, books, kits, and machine embroidery CDs will be available if you'd like to take something home. If you want to stay a bit longer and share or ask questions, that's great with us! 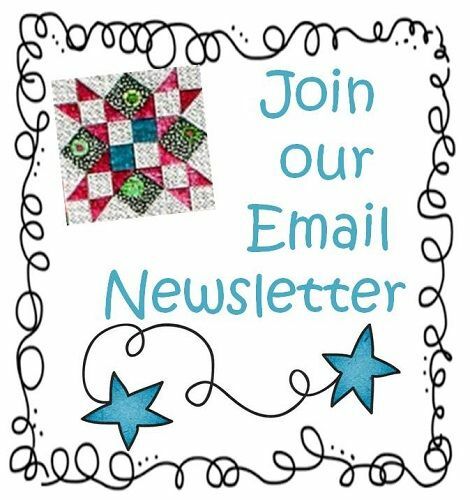 Tricia loves sharing thoughts and ideas with quilters everywhere we go! Loved seeing all the samples. Lecture was casual and very enjoyable. Would do again for sure! What a delightful lecture. Absolutely loved it! Your qilts are beautiful and you are just charming. 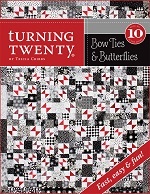 Really, really enjoy it - so much fun - made me want to go home and sew another TUrning Twenty! Wonderful, wonderful, wonderful. Friendly, helpful, understanding, patient. Enjoyed the day. How many times have you struggled attempting to piece a border and match (align) the design of the beautiful print you are working with? We all love those beautiful wide borders, but how sad to see the seam line glaring at us about midway down the side of my finished quilt. I mean, why do we CHOP off the lovely design? Well, of course, we can buy enough fabric to cut borders from the LENGTH rather than width, and I do that sometimes. But, I’ve developed a foolproof way to piece any fabric, perfectly matching the print…..EVERY SINGLE TIME. 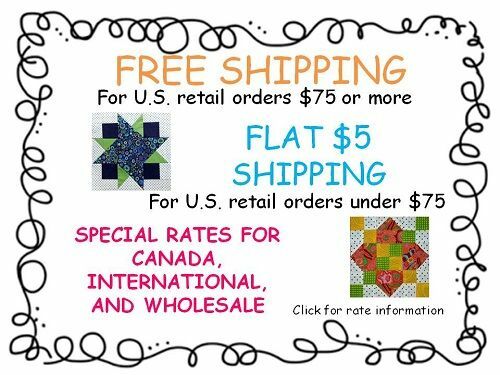 Nobody will see the seam line, and the fabric design just appears to flow non-stop down the sides of your quilt. You know me, I’m all about FAST, EASY, FUN. You will find yourself using this technique for more than borders, it’s fun and anyone can master it. Oh, and absolutely NO SPECIAL TOOLS REQUIRED! You have everything you need at home right this minute, except maybe that beautiful print you’ve been drooling over. After this, we will cover a few additional quick tips that I use in my daily sewing. Fast, Easy, Fun hanging sleeves. A full 90 minutes is required to cover everything I’d like to share in this session. Bring a notepad, you’ll want to take notes. I loved seeing Tricia again. The partial seams and binding finishing techniques are very interesting and helpful AND seeing all the REAL quilts was great. I'm looking forward to class tomorrow. Very good lecture. Did not expect such in depth demos. They were great information. Fantastic! Learned several new tenchniques. Can't wait until tomorrow! Really enjoyed it. The lecture flew by So many good tips and tgechniques. Thank you so much.